This year I was truly spoilt for valentines! We usually dont do anything special or buy crazy gifts but this year George went a little crazy! He said he wanted to treat me as I never treat myself and he is proud of how hard I have been working. You will see a very clear theme here and that is BEES! I now own so many bee things our house is covered! I am not complaining as they are my fav. 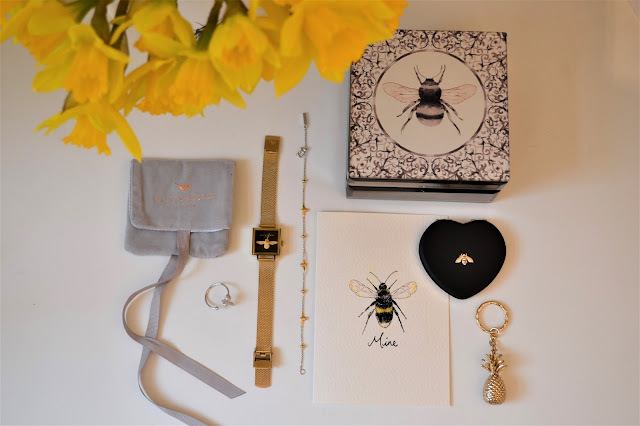 The Olivia Burton watches are incredibly beautiful, I did have my eye on the one George bought for me for a while - It has a 3D square face which encapsulates the little golden bee complete with gold mesh strap. Super exited to wear this and it looks so lovely layered up with the dainty bee bracelet, you can see from the other close up photos the incredible attention to detail! swoooonnnn . The sweetest little ring which of course features a bee. He also picked up the little black and gold bee mirror, pineapple key chain and the adorable Bee jewellery box so I can keep all my bee treats safe. I hope you all loved seeing these beautiful pieces, I am super excited to start wearing them, a big thank you to George!! I also embroider and sell my own bee clothing/accessories which you can check out here. That's exactly after my preference.To get top 10 double glazing best deals people in this era are contacting agents which is very rational. 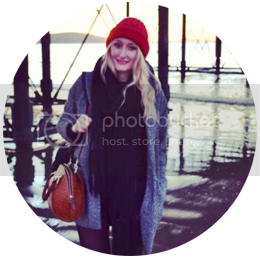 You’ve got the cutest blog! I’m loving the quirky things you finding for you home and the reoccurring bee theme is the best! !